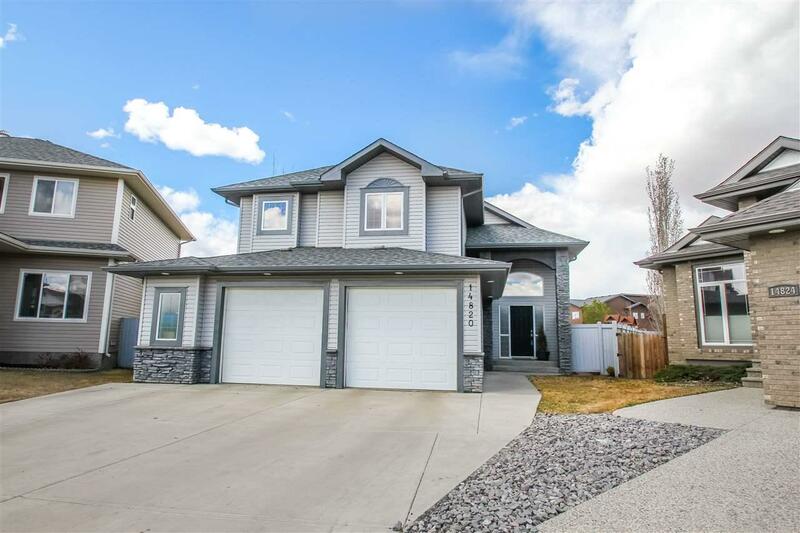 CUSTOM BUILT Bi-Level on a pie shaped lot (7400 sqft). Located at the end of a CUL-DE-SAC, the curb appeal is great with vinyl and stacked stone accents. Inside has a large tiled entry. 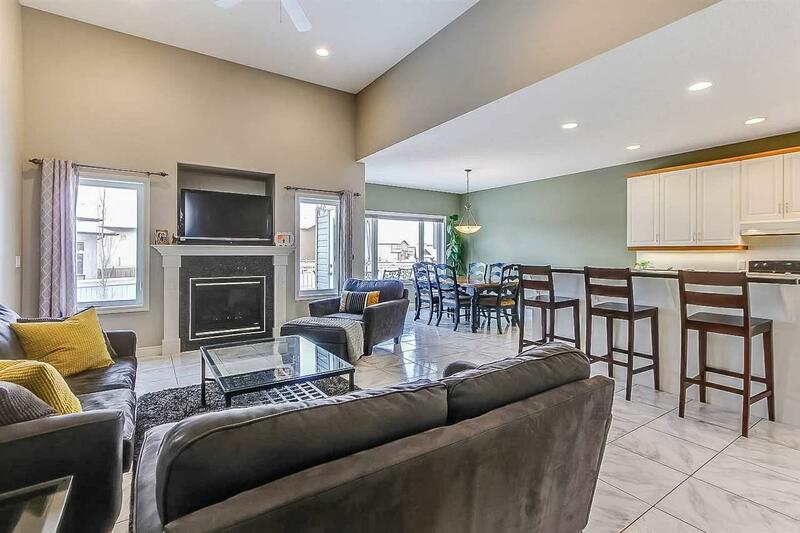 Main floor is OPEN WITH SOARING CEILING in the living room which is equipped with a gas fireplace. 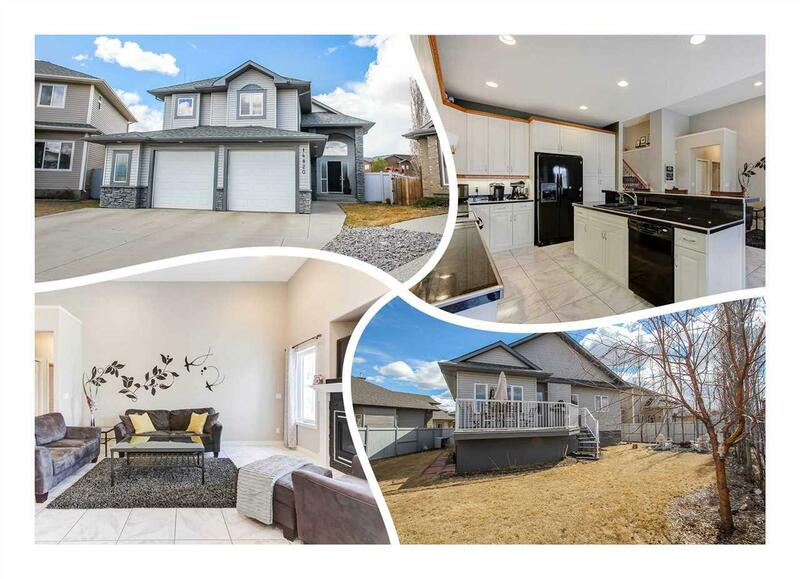 Cook in the bright white kitchen with GRANITE TILED counters, EXTRA HIGH cabinetry and a SPACIOUS dining room. Two Bedrooms and a full bath complete the main level. Upper floor is a master suite with a large WALK-IN CLOSET and a jetted 5 piece ensuite. Basement is fully finished and has a bedroom, rec room, den, laundry area and 3 piece bath. 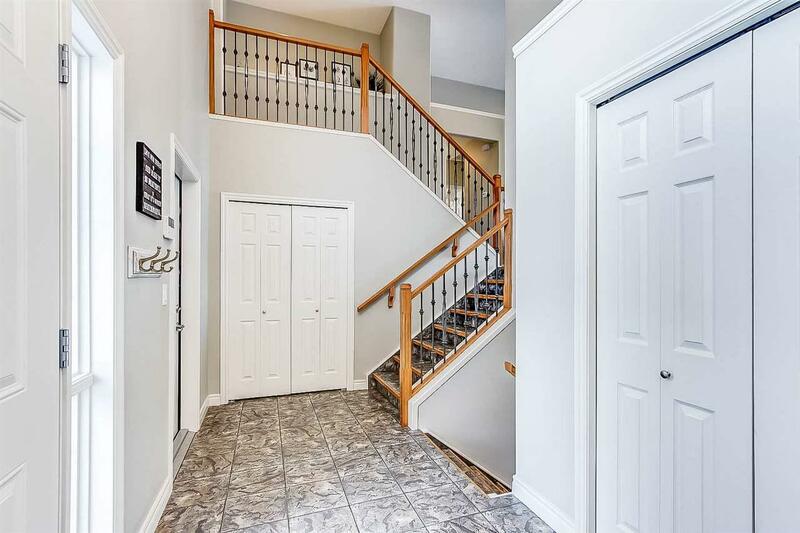 Play in over-sized HEATED GARAGE with SEPARATE ENTRY to basement. Enjoy the deck overlooking the landscaped yard. Shows like new! See it, You'll love this place!